Home Uncategorized Stand tall & be proud! Stand tall & be proud! I think the oppposition did win last night, and there’s no shame in that. The days when being labelled “opposition” was the kiss of death are no more. We have proven that we’ve moved beyond the coup, the paro petrolero and the political gridlock that followed the Recall Referendum. We have proven we can win elections, that we can be organized and stay on message. What we saw yesterday was a new opposition, one that believes in the vote and does not think of shortcuts. One that is bold in defending the vote while humble enough to recognize that chavismo is still – and will be for many years to come – a force to be reckoned with. That new opposition has nothing to be ashamed of. What they should emphasize is that the country is trying to teach the President a lesson, and that it’s up to the President – for the sake of reconciliation, progress and brotherhood – to listen. 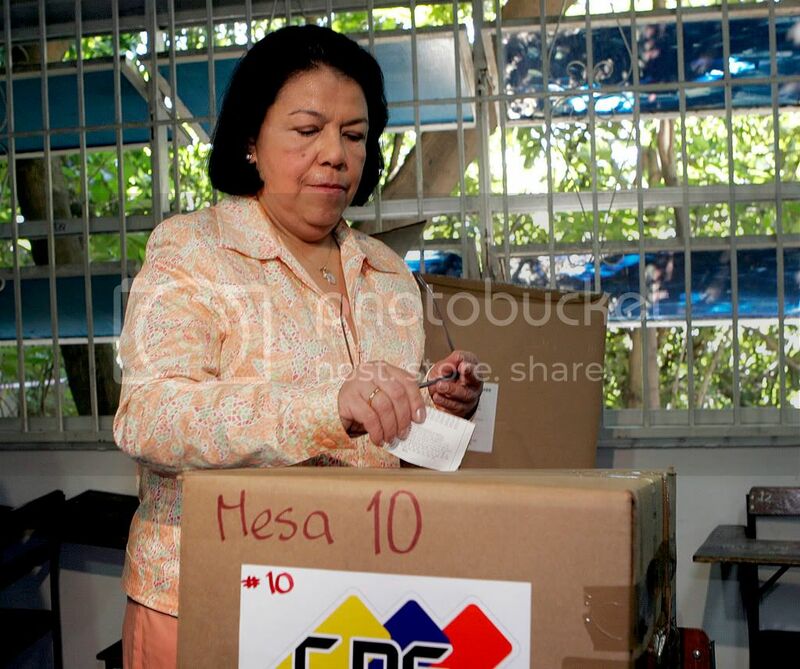 Pandering to chaventionists (chavista abstentionists) and chavepentidos (chavista arrepentidos, like Luisa Estela Morales, who apparently voted No) by saying “the opposition didn’t win, it was your Constitution who won” makes you sound weak. And why would you sound weak when you’ve had your greatest victory ever? Administering victory means translating it into something bigger, something that can encompass both the people you already have and the people you almost have. Those millions of chaventionists that stayed home yesterday seem to have turned a corner with respect to the President. They’re pissed at him, they feel disappointed, but not enough for them to feel like they could go and vote against them. They’re there for the pickin’. It’s time to woo them with our charm, our offers, our plans for the country. And anybody who has ever played the singles game will tell you – you can’t woo someone by being weak. The opposition should stand tall and be proud, but continue talking to chaventionists and chavepentidos about what we have in common, about the country we all dream of. Which is more or less what they’ve been doing so far. Baduel aside, I think the messages so far have been pretty darn close to perfect. Next articleDid Chavez turn a defeat into a victory?